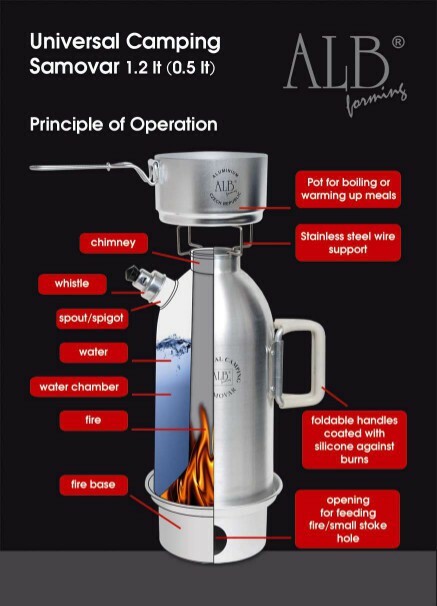 For outdoor use and fast boiling of water while using natural fuel as wood, dry grass etc. The cooking is independent of weather conditions (wind, rain). 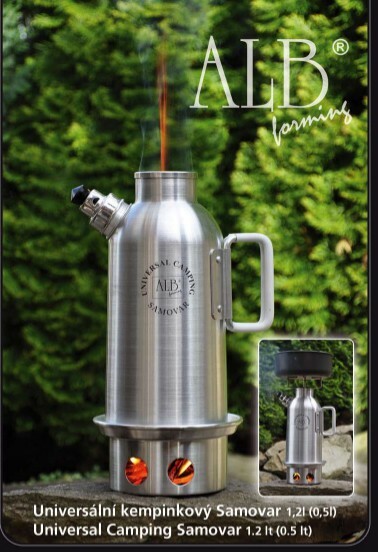 This Samovar consists of a two-walled vessel equipped with a spout and a whistle, foldable handles, a fire base and a stainless steel wire support. 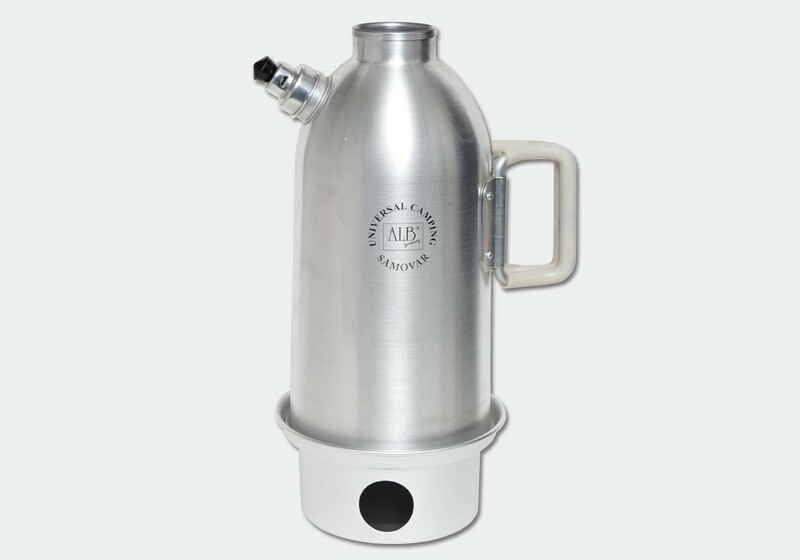 Product description: The samovar, the fire base, the spout and the whistele are made of food grade aluminium of the highest quality, i.e Al 99.5%, with a volume of 05 and 1.2 litres. The whistle is eqquiped with a plastic knob which protects the person who handles it from possible burns. 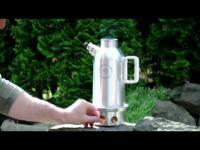 it is attached to the Samovar by means of a little chain. 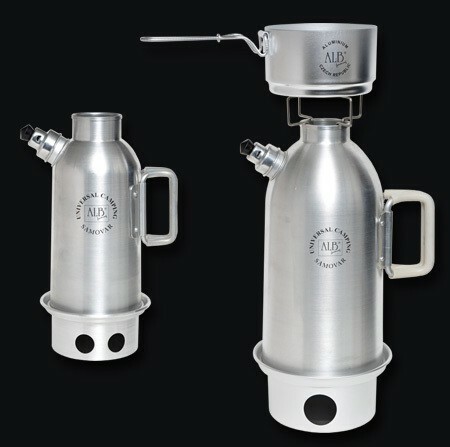 the Kettle is equipped with two foldable handles coated by a silicone hose providing protection against burns when the samovar is handled. Storage bag + pan support included.